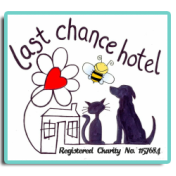 Our lovely volunteer Carolyn Harding​ would be very happy to come and talk to your group about the work of Last Chance Hotel, to spread the word about all the charity’s activities and to discuss the wider issues of animal legislation and how we can all help to protect animals. If you would like her to come and speak to your group, whether it be a classroom of children, a Friendship Club, or a large audience of 100 or more, please contact us via email info@lastchancehotel.org, or telephone 01209 281159, giving an estimation of the size of the group, a suggested date and the the type of audience and she will be pleased to get in touch with you to fix a date in the diary. Carolyn is happy to cover all of Cornwall in the summer months (April to September), but would prefer venues within a 35 mile radius of Penryn for the rest of the year. Last Chance Hotel Team members will be there, do drop in and say hello.